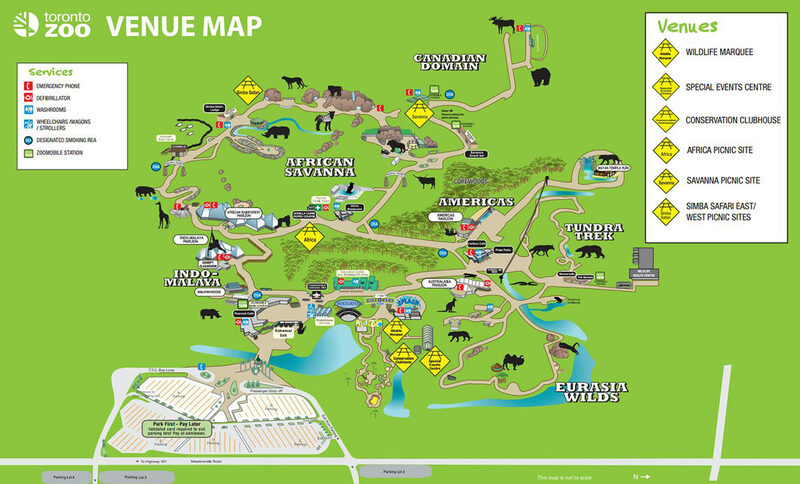 Looking for a private space within the Toronto Zoo to host your event? The Zoo’s conveniently located venues are available to rent year-round and are the perfect spot for corporate functions or private gatherings. Are you looking to host an event for a large group? Multiple seatings or a drop-in style event allow venues to accommodate larger groups of the course of the day. Please note: Admission, parking, wild additions, and catering are not included in the venue rental rate. Venue capacities are subject to change depending on event set-up requirements. School groups receive a 50% discount off venue rentals during the school year*. *Offer valid only for school groups booked Monday to Friday (10:00 am -2:00 pm) during the school year. Subject to availability. Subject to change without notice. Youth groups receive a 50% discount off weekday venue rentals*. *Offer valid for youth groups booked Monday to Friday year-round. Subject to availability. Subject to change without notice.